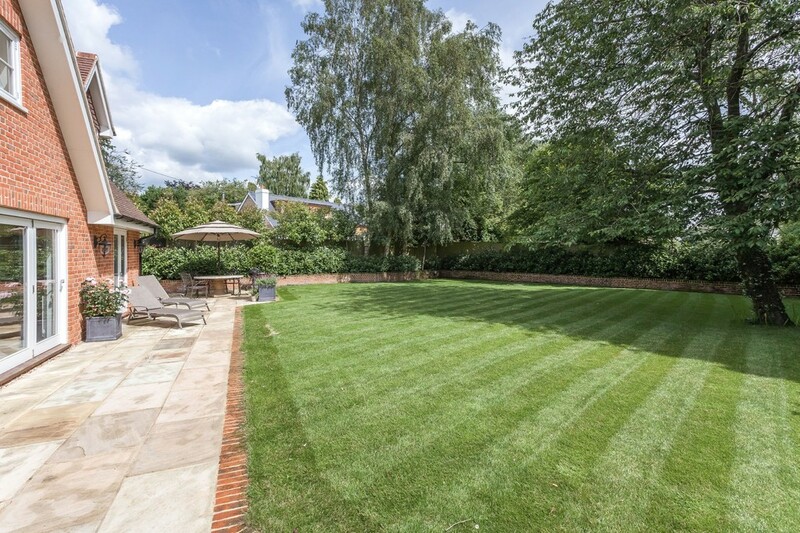 A stunning five bedroom family home located in a commanding position overlooking the village green. 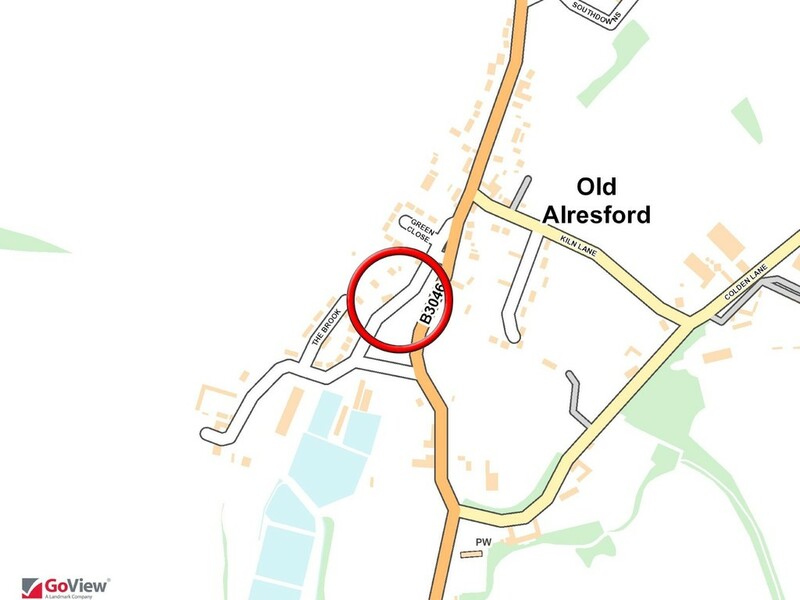 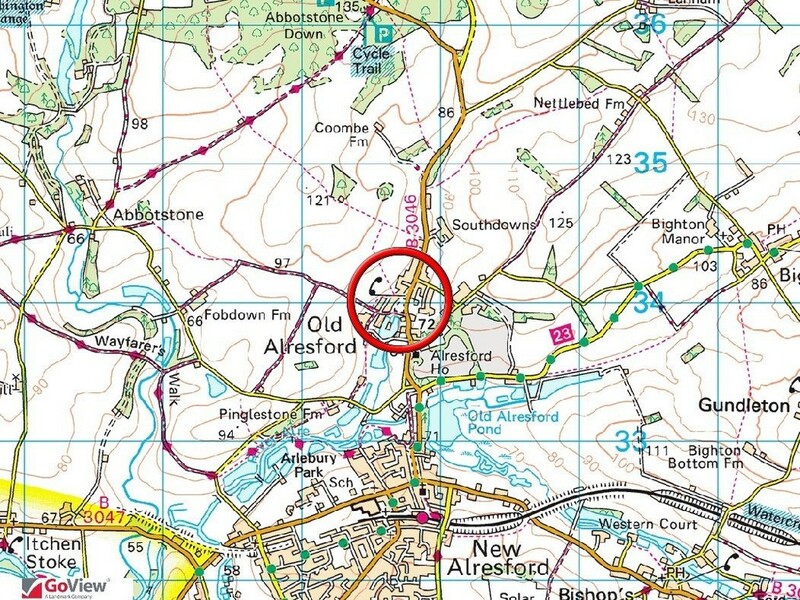 Old Alresford is a small village to be found just a mile north of the popular market town of Alresford. 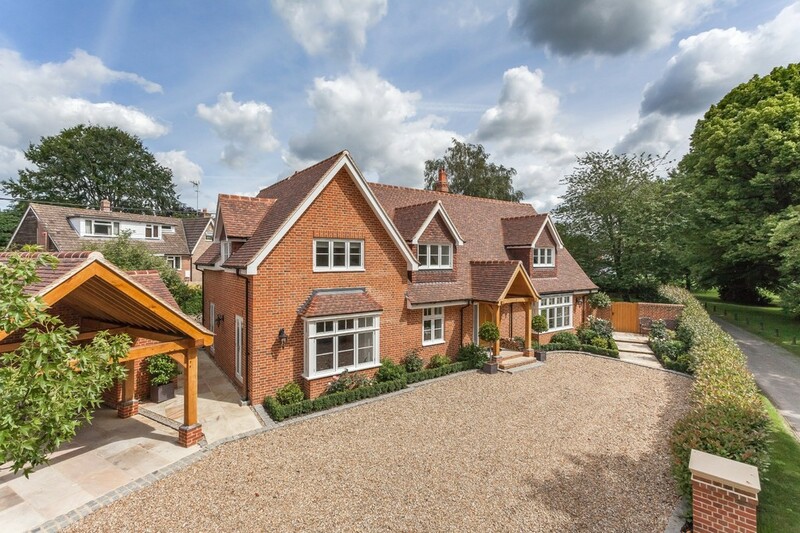 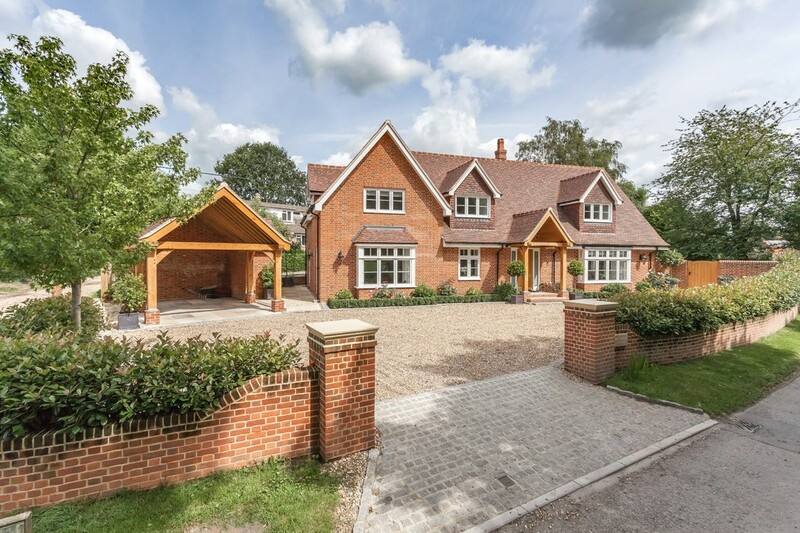 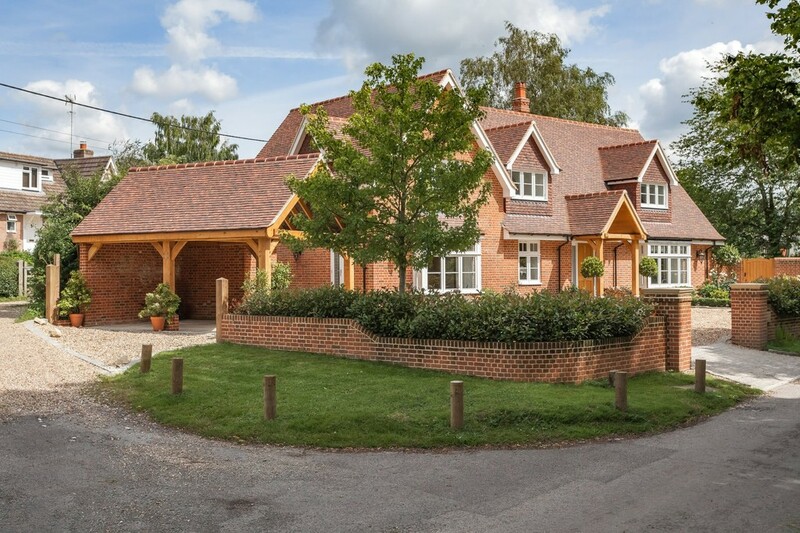 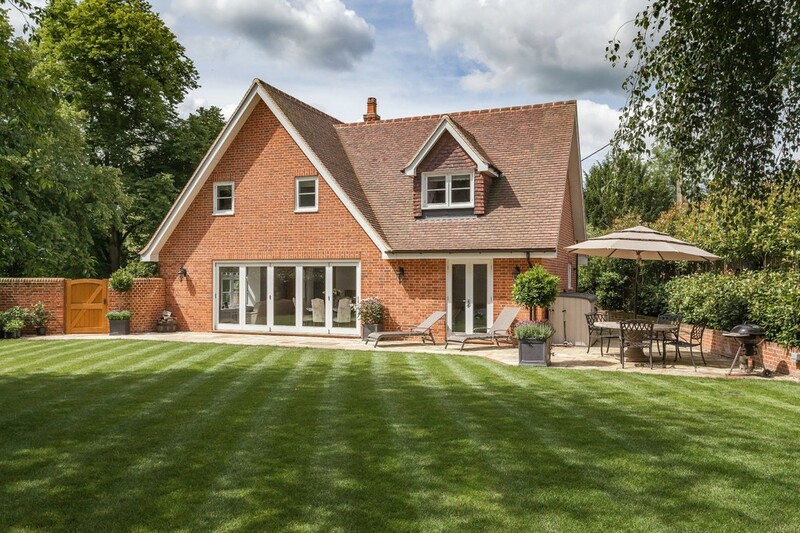 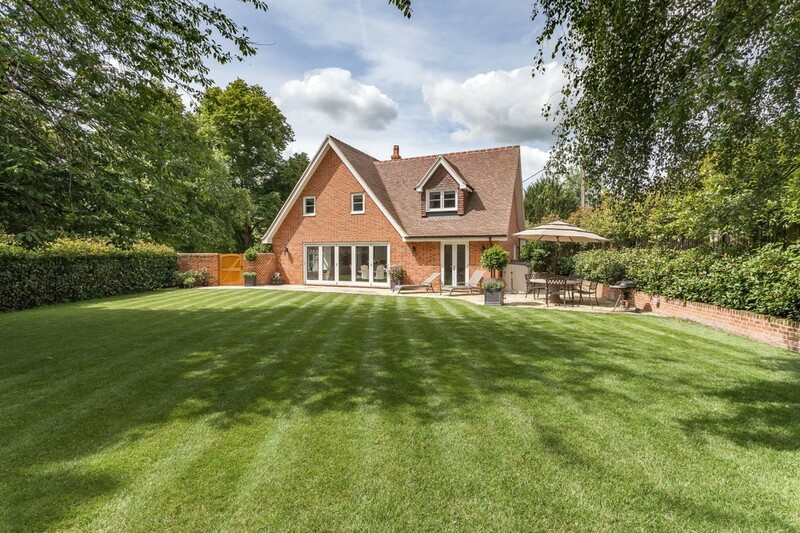 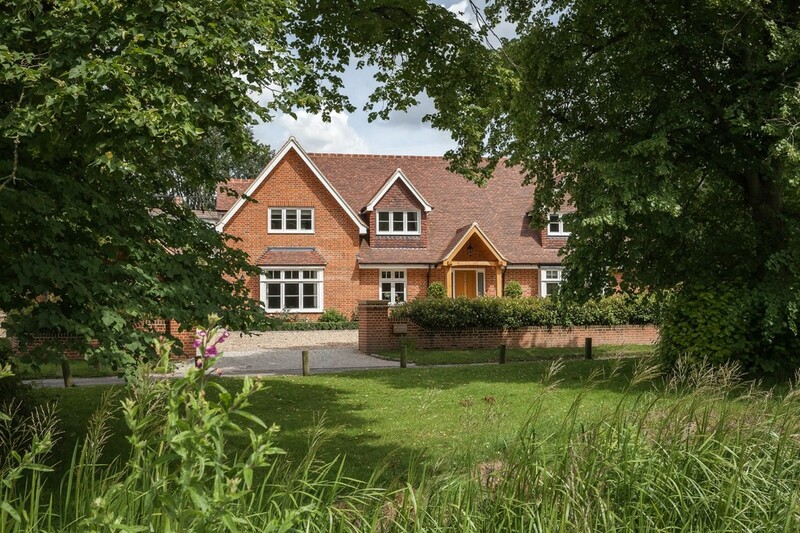 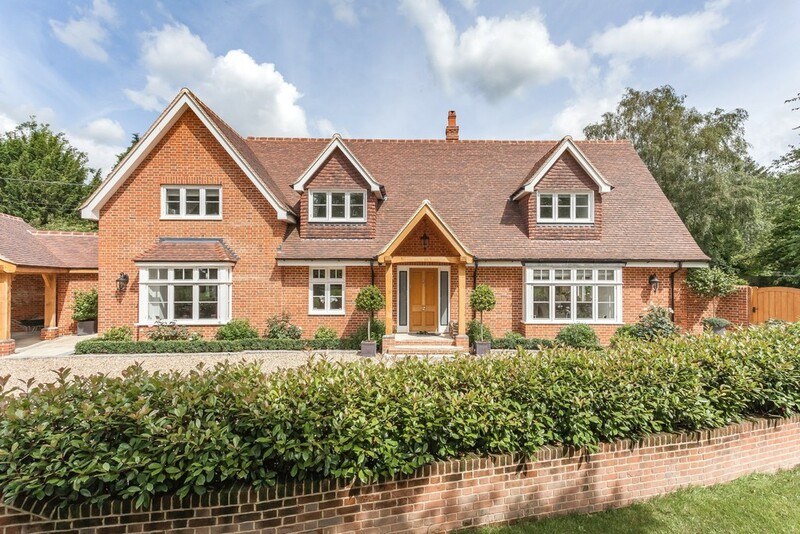 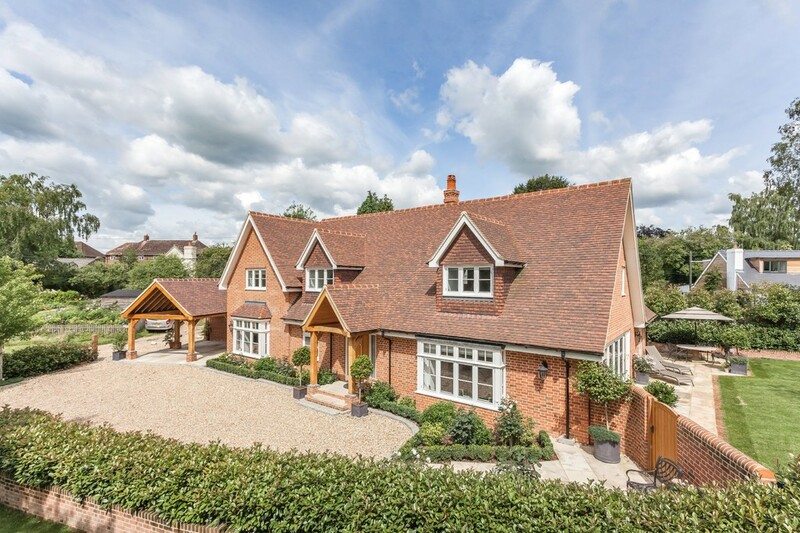 This impressive property was built to an exceptional specification in 2015, using high standard materials, fixtures and fittings. 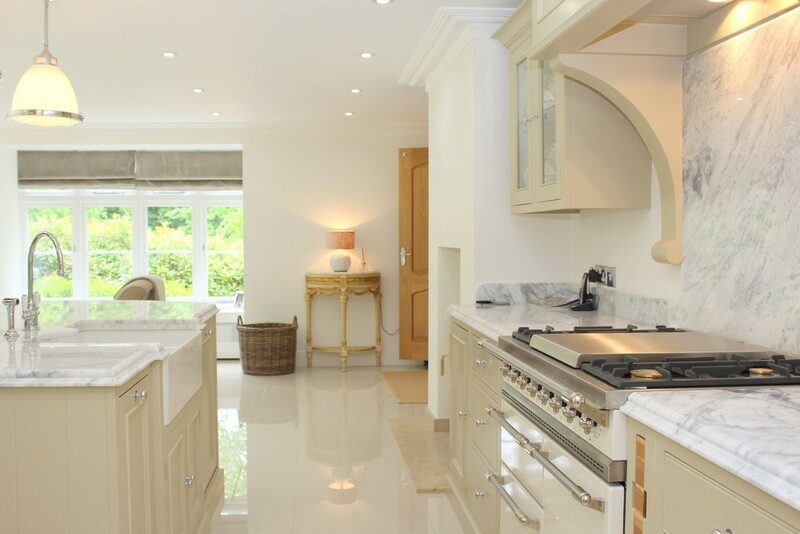 The kitchens and bathrooms have been fitted by Neptune and there is a sense of quality that pervades throughout the house. 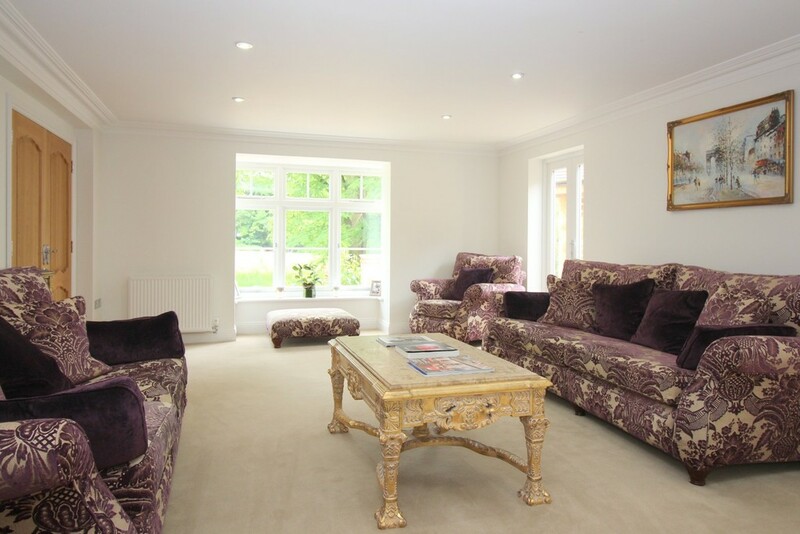 The house is presented in immaculate order and is decorated in a fresh, contemporary styling to suit modern lifestyles. 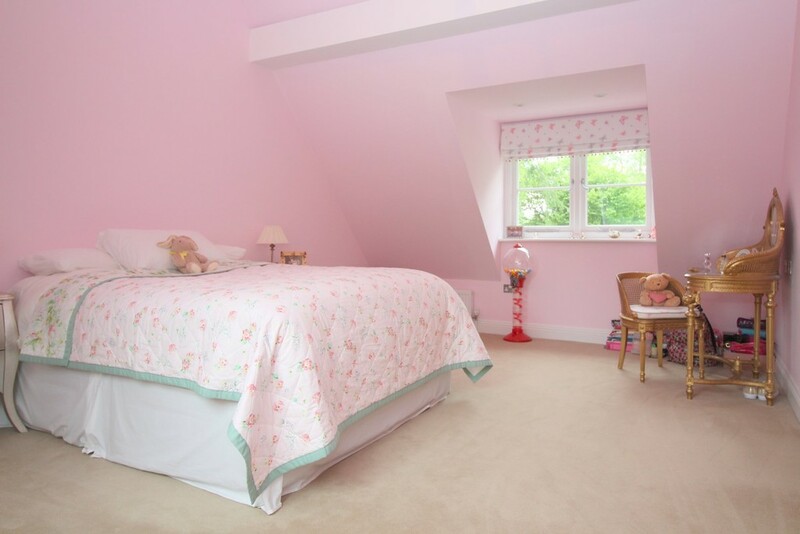 The accommodation approaches 3,000 square feet in size and there is a natural and easy flow to the rooms. 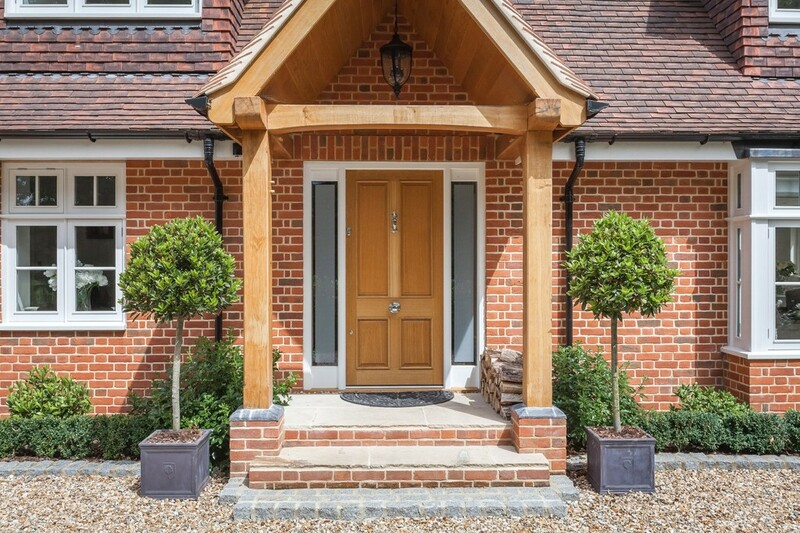 The front door opens to the light and airy entrance hall, where doors radiate off to the reception rooms. 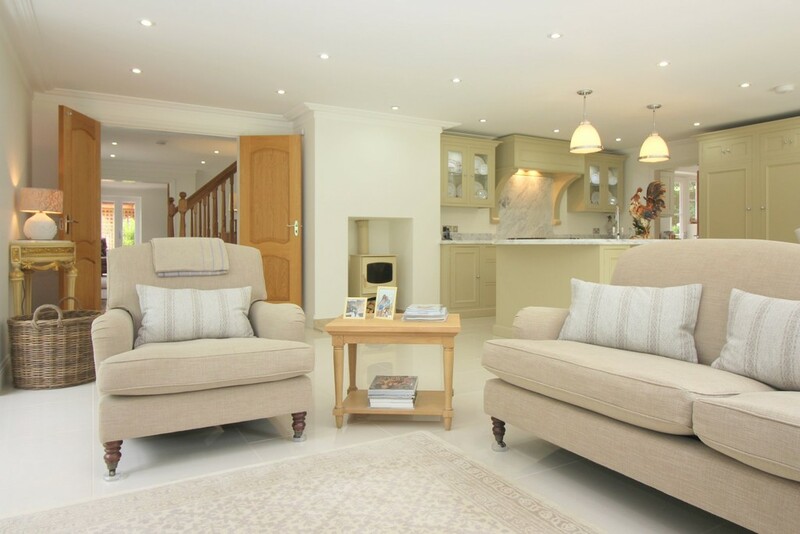 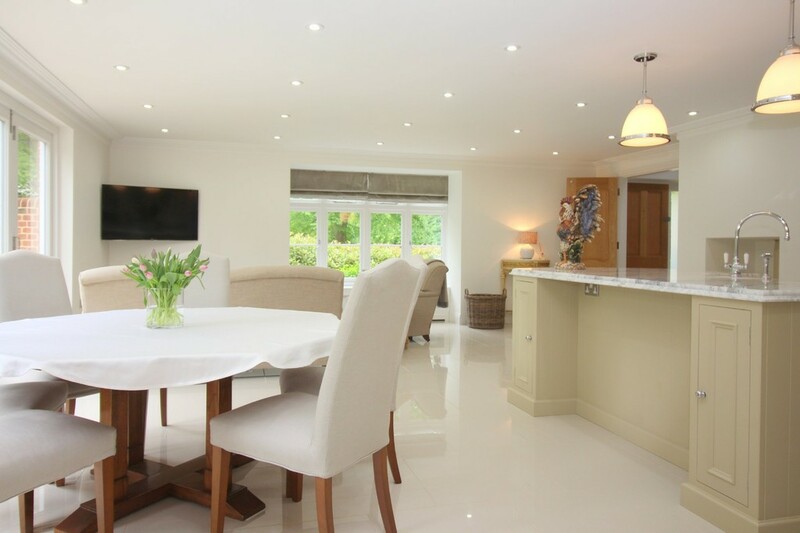 The heart of the home is the wonderful kitchen, which is open plan to the dining room and a snug seating area. 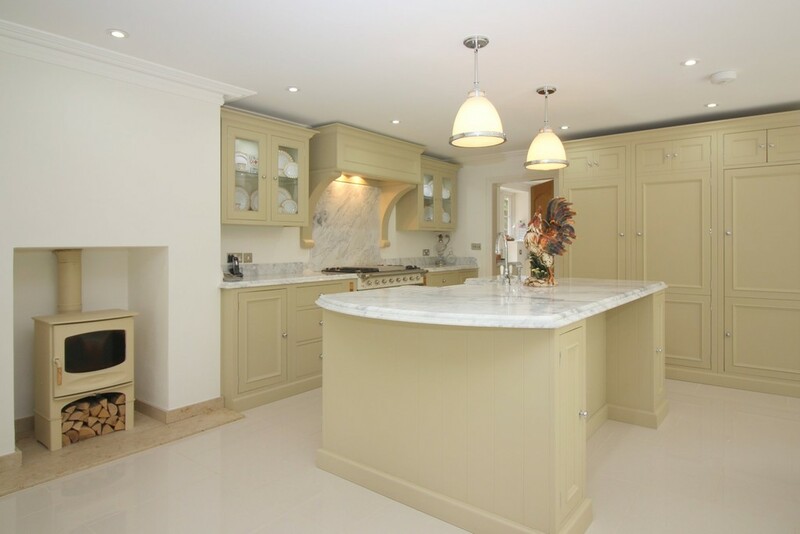 The beautiful, bespoke Neptune kitchen features a range of integrated appliances and a large island unit. 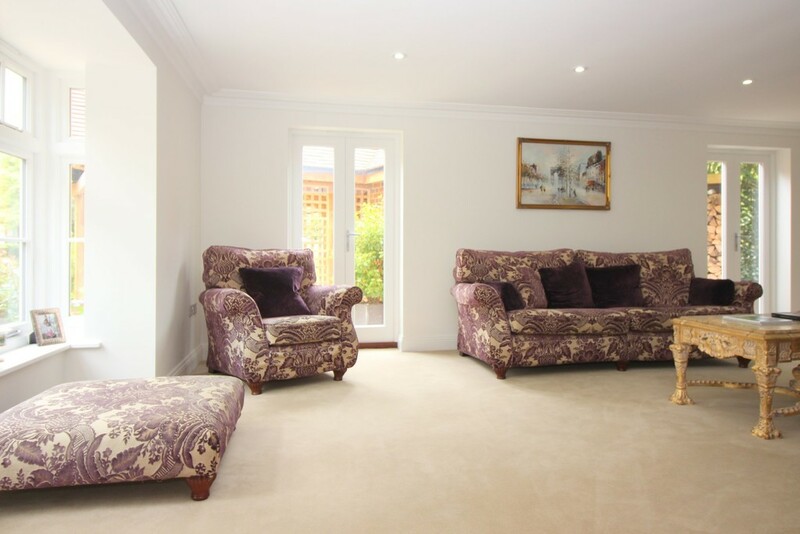 The expanse of tiled flooring extends into the rest of the room and give it a real feeling of space. 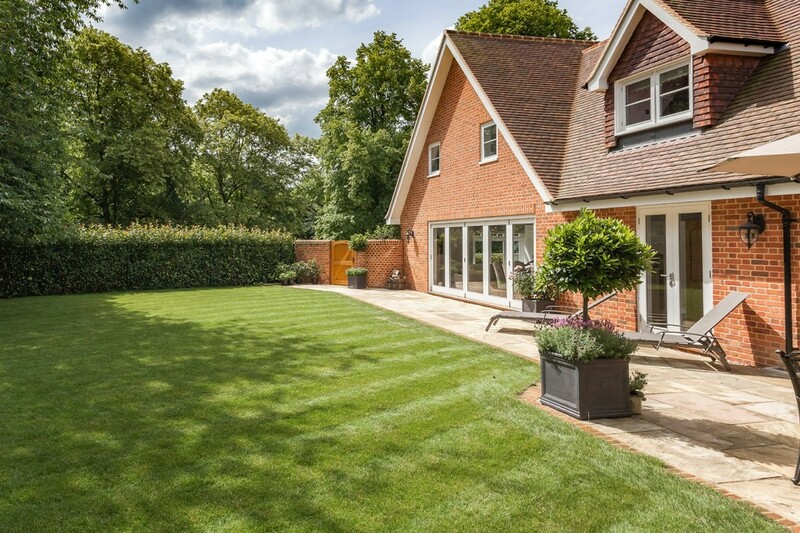 Wide bi-fold doors open to the garden. 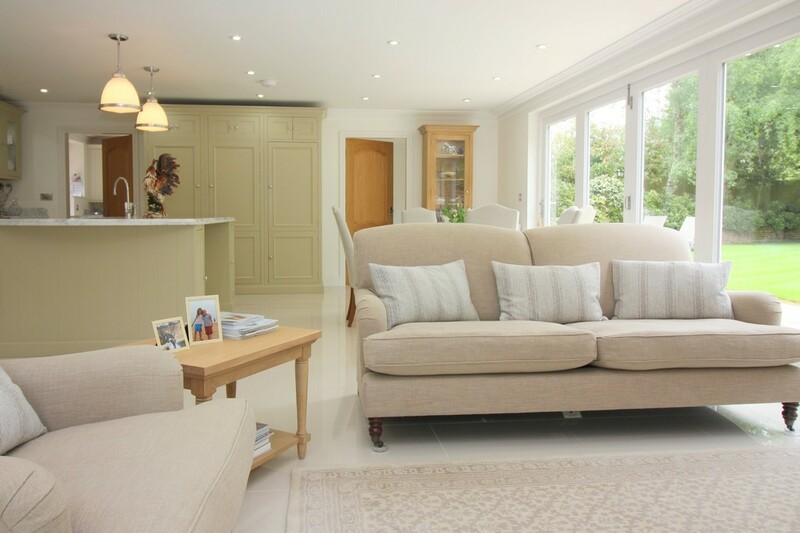 Off the kitchen is a family room with French doors to the garden, and a fitted utility room with separate store room. 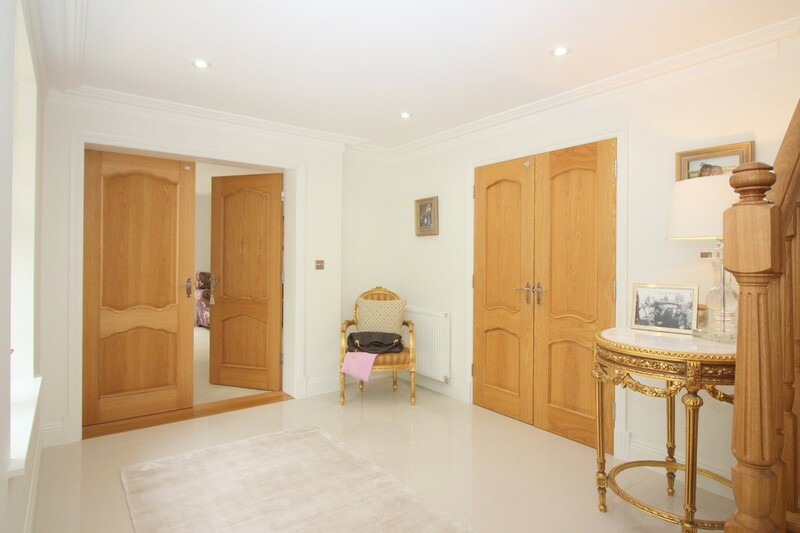 At the other end of the house, there is a sizeable sitting room with twin sets of French doors to the side. 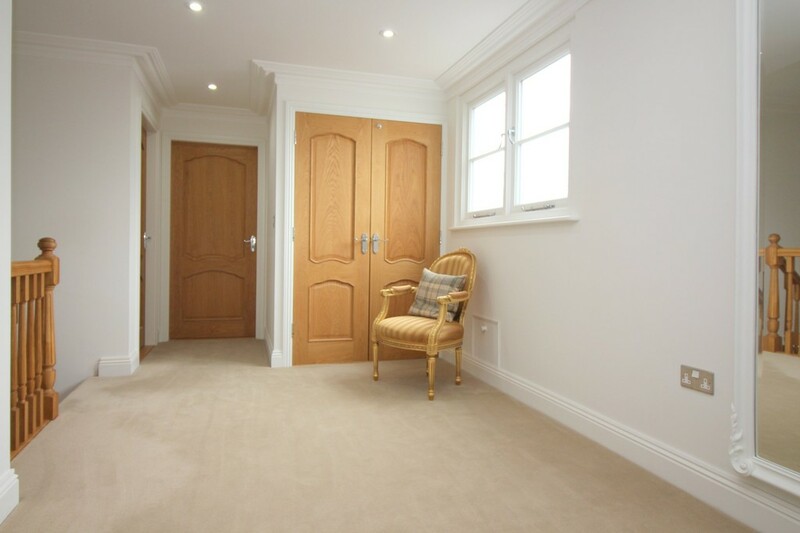 Off the hall is the fifth bedroom/study, which adjoins a shower room. 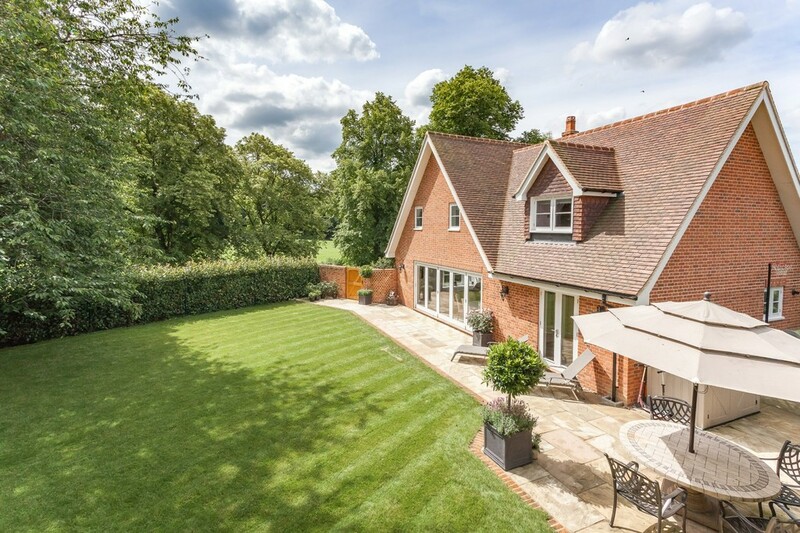 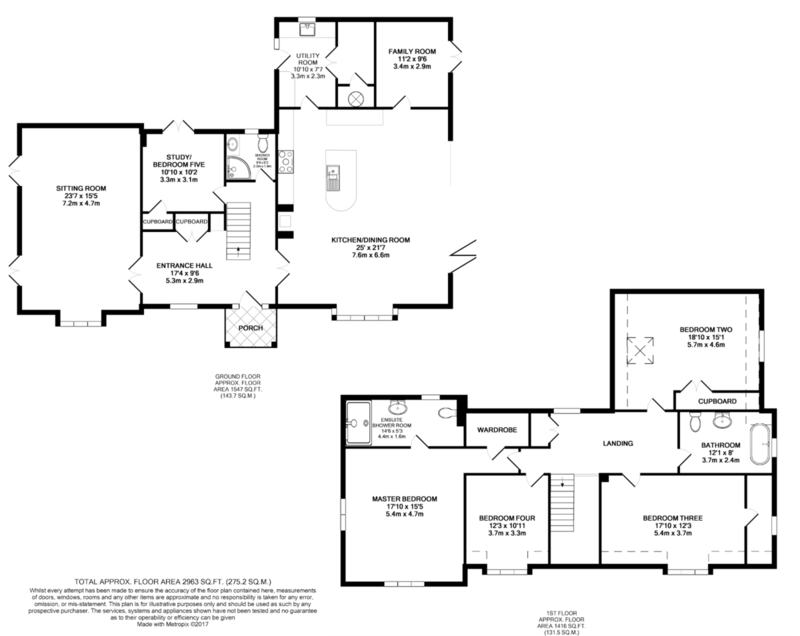 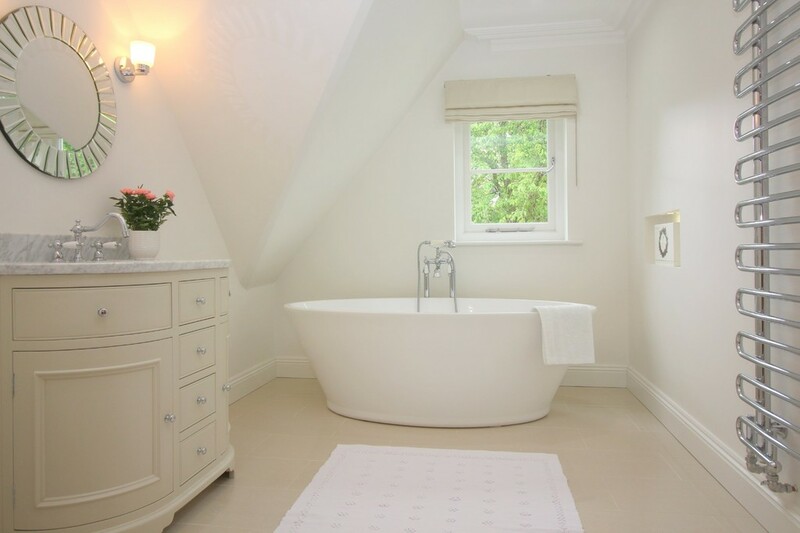 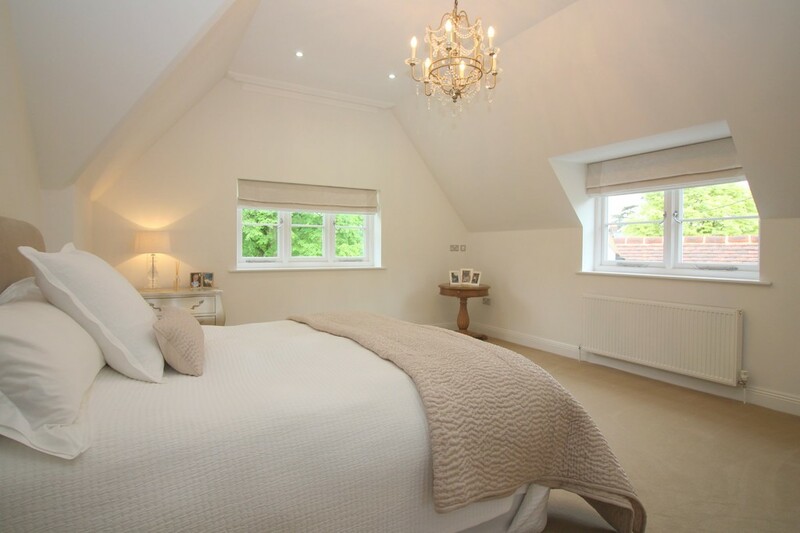 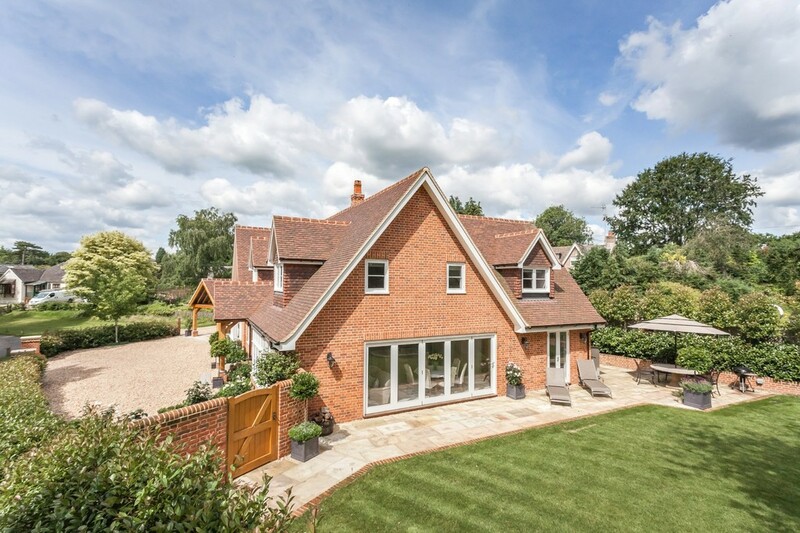 On the first floor is the master bedroom with a stunning vaulted ceiling, en-suite shower room and built-in wardrobe. 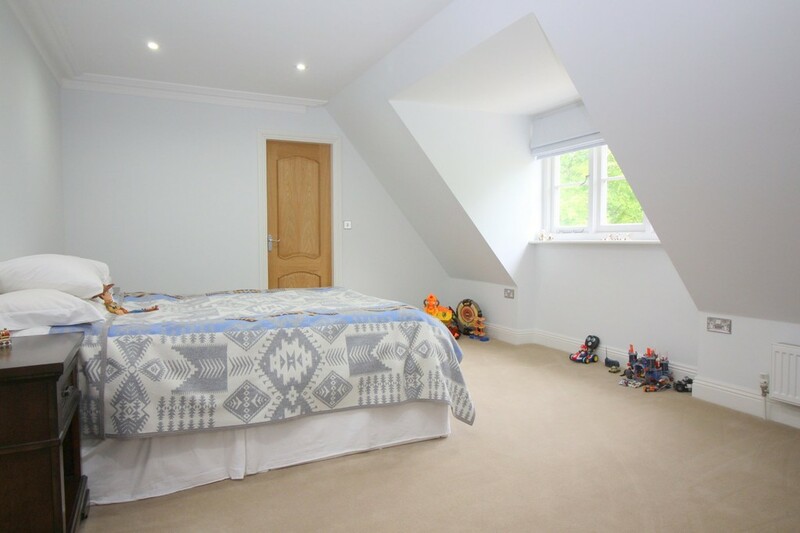 There are a further three double bedrooms upstairs, one of which has a walk-in wardrobe with plumbing built in for a potential en-suite. 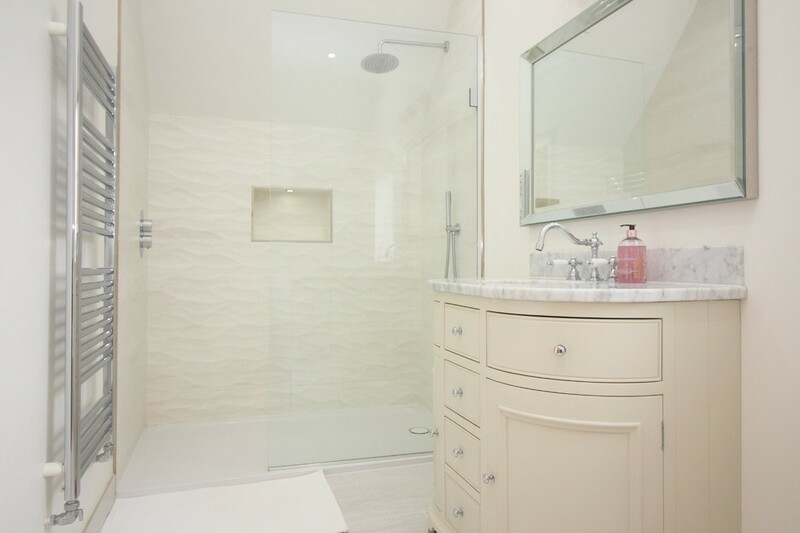 In addition there is a beautifully designed family bathroom. 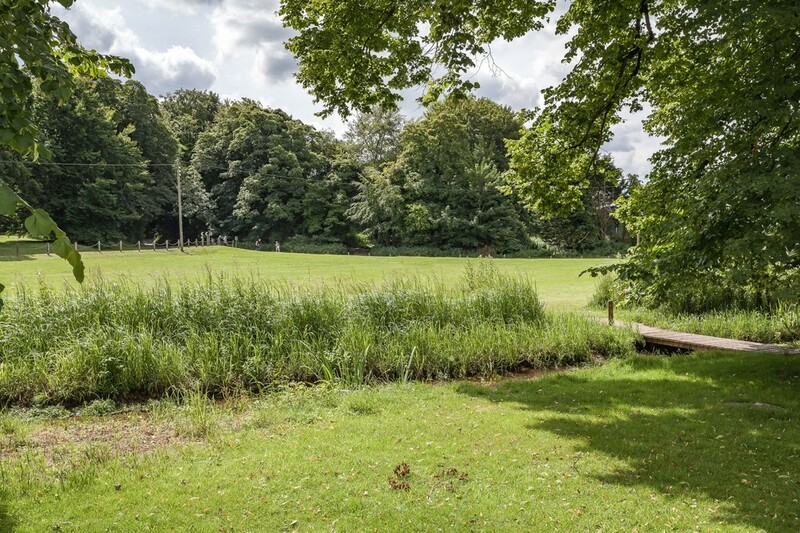 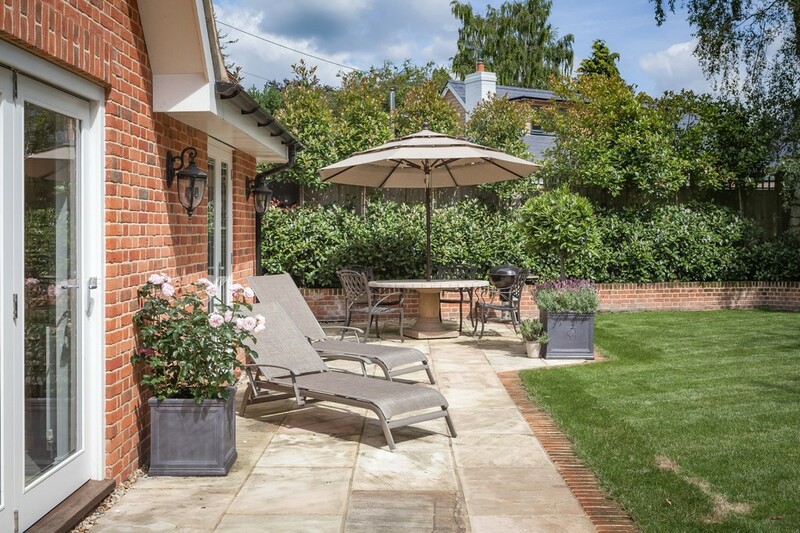 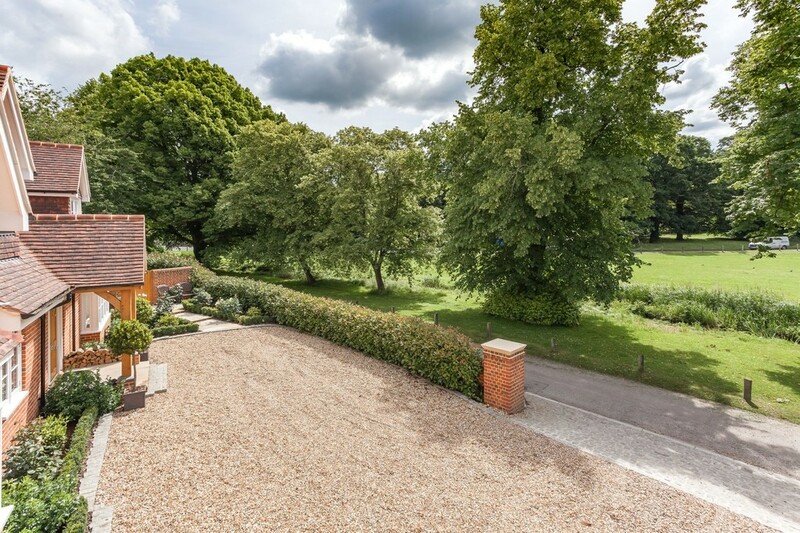 Outside, there is a secluded garden that has been carefully landscaped to create a lovely, lawned garden with a sizeable terrace for sunny days, and with mature hedging surrounding it. 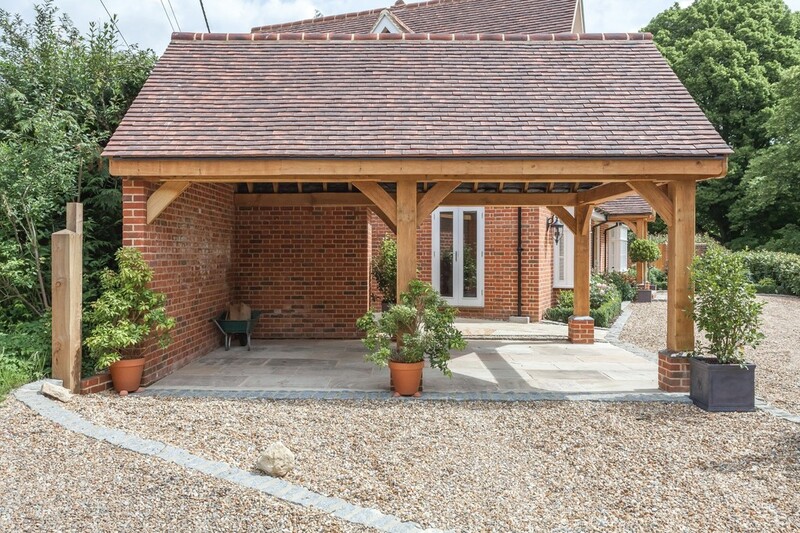 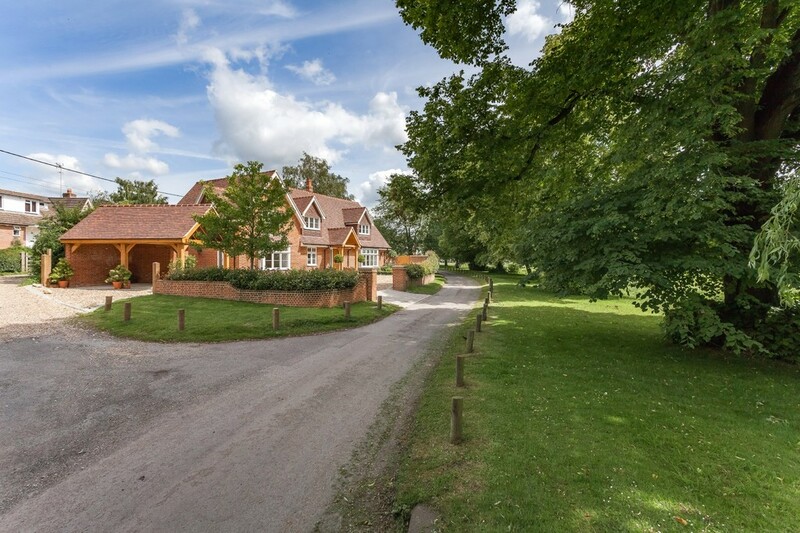 The gravel driveway provides plenty of off-road parking and there is a timber garage with a pitched, tiled roof and storeroom. 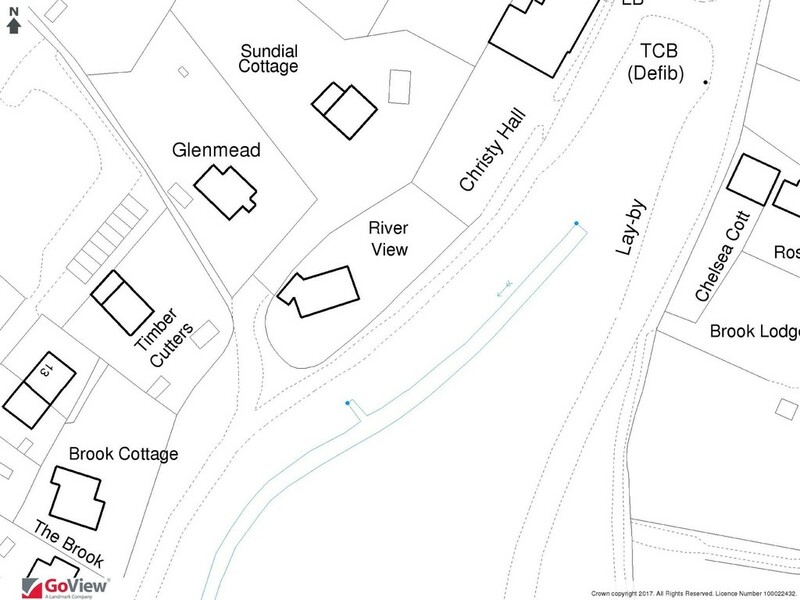 SERVICES Mains water and electricity are connected. 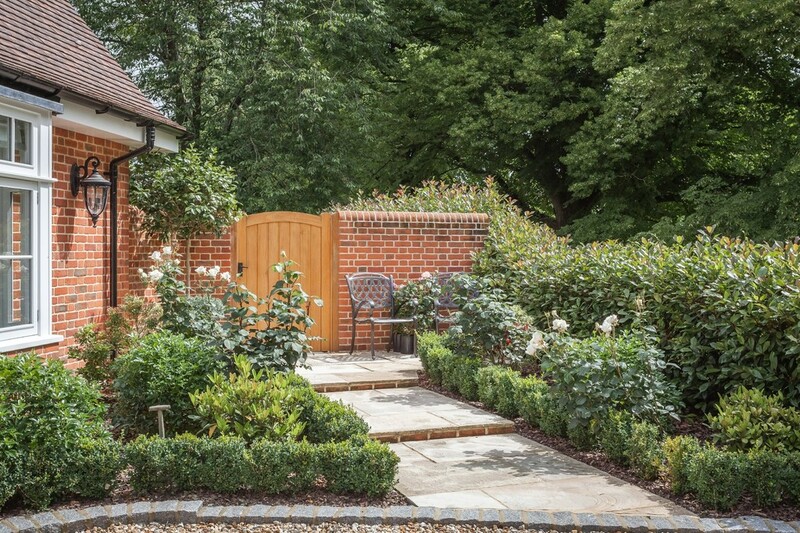 There is a private drainage system in place and an LPG tank in the garden.